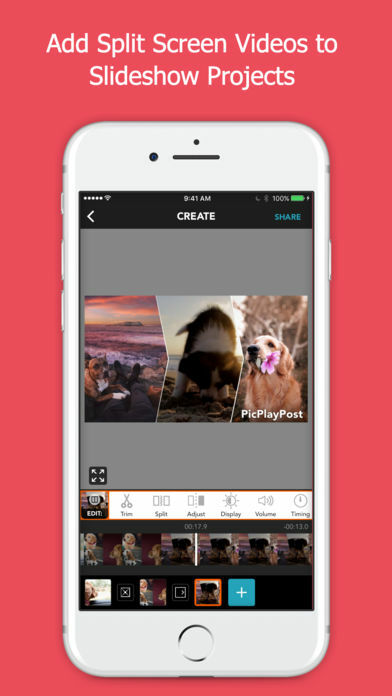 PicPlayPost is the best slideshow movie maker, video collage, and video editor app with over 15 million users. 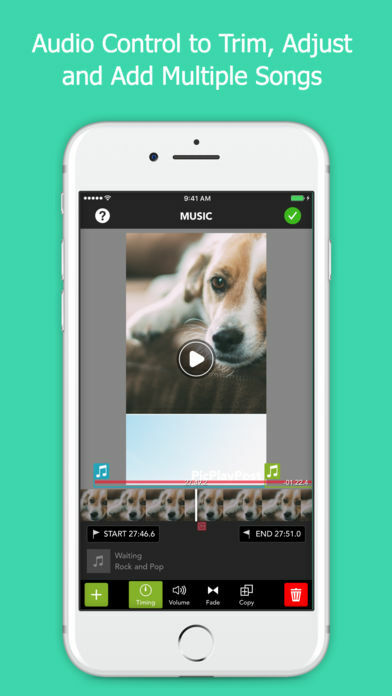 After you create a slideshow or make a video collage you can personalize your video or photo slideshow with music. 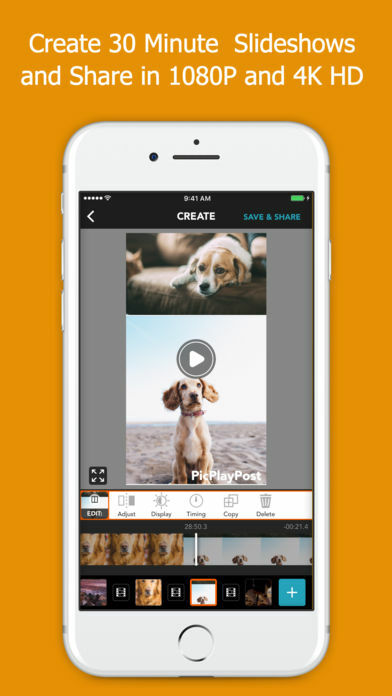 You can also add transitions, voice over video, and animated text to jazz up your video montage. Share your projects in HD as 1080 or 4k video . 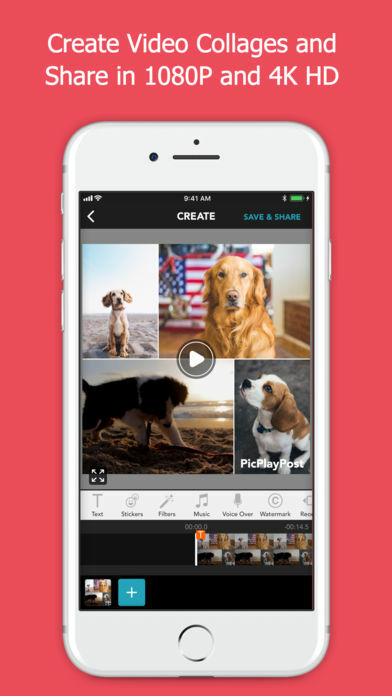 You can also use it as a gif slideshow or funny meme maker by adding GIFs and GIF stickers from Giphy. 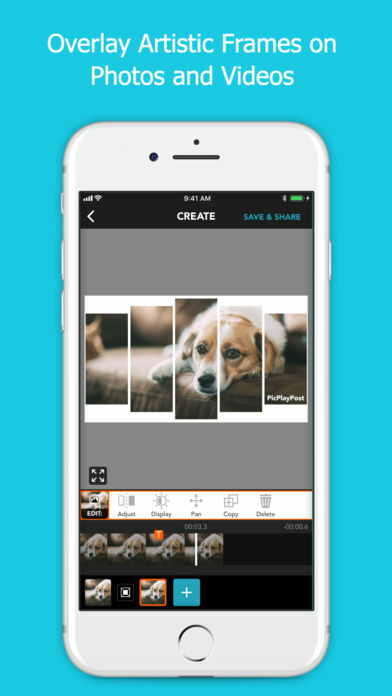 PicPlayPost is also a photo collage and a live collage photo maker where you can create amazing live wallpapers for your device. 3. 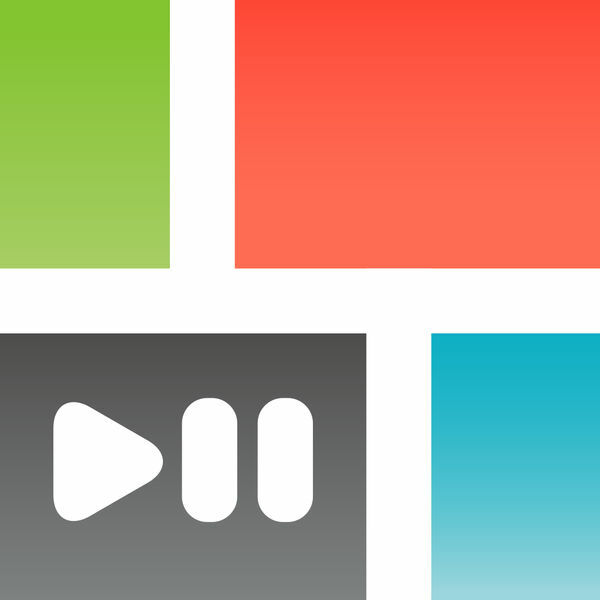 Transitions – Add split screen pic collage transitions to your slideshow. You can now save your favorite transitions so you can easily find them for future use. 4. Stickers from Giphy – Add multiple GIF stickers. You can pin stickers to a moving object. 5. Text – Add multiple text boxes you can customize with color, font, animation. You can also pin text to a moving object and change the perspective. 7. Music – Combine and add multiple background soundtracks to a project. 9. Automated slideshow – If you don’t have time to create a video slideshow, let us do it for you. You select the content, we will create videos for you. – Subscriptions are billed monthly at the rate selected depending on the subscription plan. Alternatively a one time payment option is also available (this is not a subscription). – Subscription auto-renew at the cost of the selected plan, unless cancelled 24-hours in advance prior to the end of the current period. The subscription fee is charged to your iTunes account at confirmation of purchase. You may manage your subscription and turn off auto-renewal by going to your Account Setting after purchase. Per Apple policy, no cancellation of the current subscription is allowed during active subscription period. Once purchased, refunds will not be provided for any unused portion of the term. 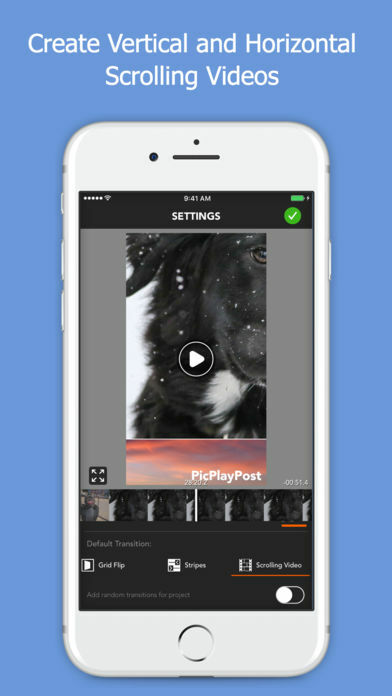 – PicPlayPost also offers an Everything Pack which is paid for by a one-time upfront payment with unlimited access to all features forever.